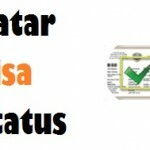 After staying in Qatar its time to exit from the country for this exit permit is must be issued to leave the country without any kind of left overs. 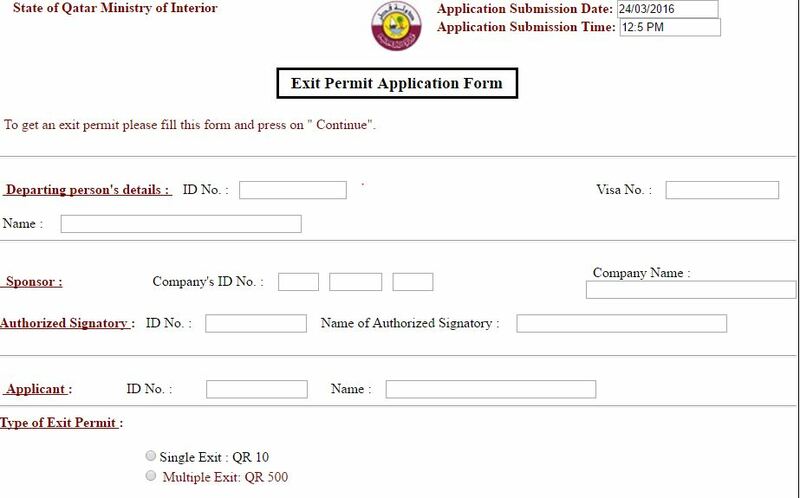 As you know that Qatar E-Hakoomi which is a fully integrated online system from which any Qatar Expat and resident can generate inquiry about many visa passport, exit permit visit or annual leave, driving license and many more related services. 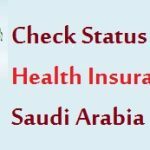 In previous articles we discuss just few of those services and their procedures Qatar e-hakoomi services let you know about your visa status also what are the traffic violations fine you have. 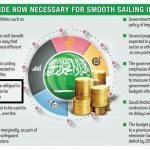 The cost for each single exit permit is QR10 while Multiple exit permit fee is QR500 with validity of one year. 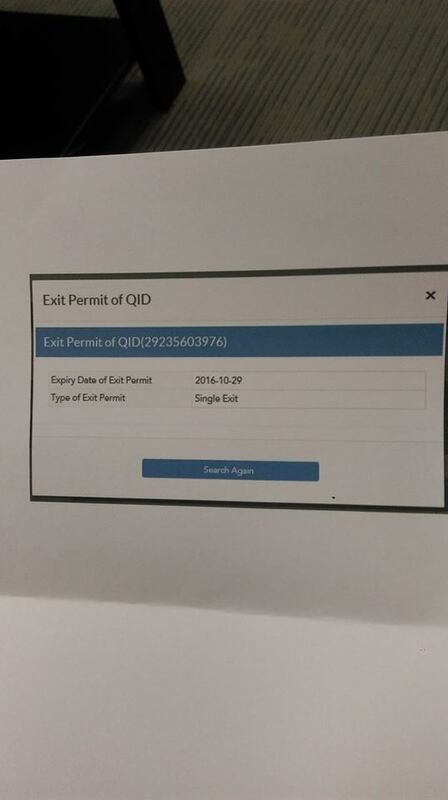 MOI qatar provided applicants a safe and official way to check his exit permit status online. 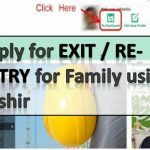 Any person can also get complete information of his exit permit without going to immigration departments hence it save you time. Open official E-Services page of MOI qatar. 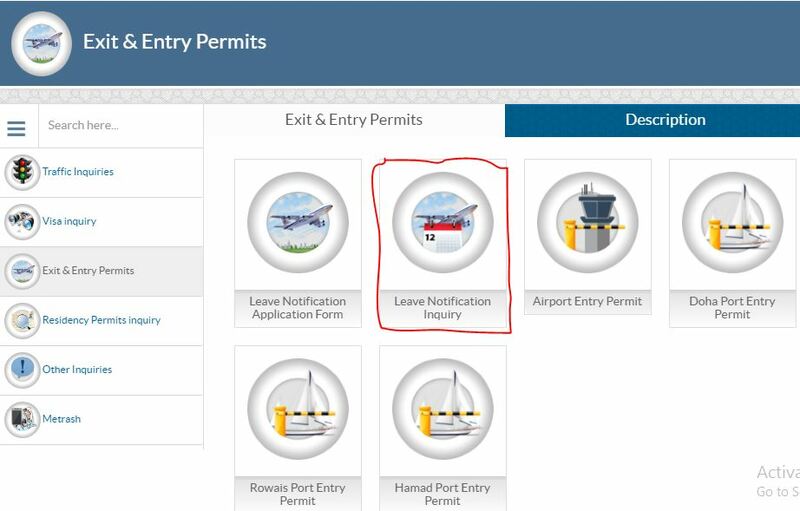 Now click on the Exit Permit Inquiry(Leave Notification Inquiry) Icon. After that you i’ll be redirected to separate page where enter your QID number. At last click on Submit button to get results of your Query. Now there is no need to show Exit permit at immigration as now all exit permits can be scan through self service Kiosk E-gates but still its better to take print as a proof. 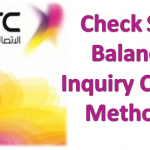 Make sure before exiting Qatar thoroughly check all of your bill bank accounts, school fees, Traffic fines fees, insurance dues and also must check to terminate your job account before exiting. Hi, I am planning to travel on 10th July 2016,so i need the exit permit during Eid holidays,the immigration dept may be close,how i will get the exit permit? Thank you sir and ma’am. I will wait for your answer.Have a good day. My exit permit expires on 11Sep, can I still travel on 11 Sep 9pm?